How can you tell? How can you tell? Hence it is a Circle, it is a Circle. The ability to recognize and describe shapes is a fundamental skill that provides the foundation for advanced skills. 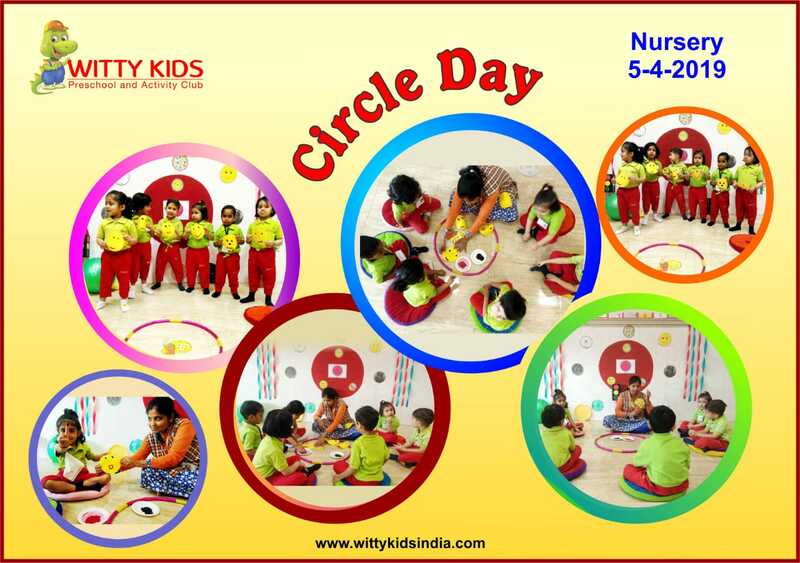 On Friday, April 5th 2019 Mr.Circle was invited to Nursery section of Witty International School, Udaipur. Teachers decorated the class with Circle shaped objects all around and little toddlers were encouraged to recognize circle shaped objects to reinforce the concept. Children enjoyed shape tracing and finger painting activities on Circle shaped cut-outs. They also brought snacks which were circle in shape. The concept of Circle will surely be embedded in their little minds forever.